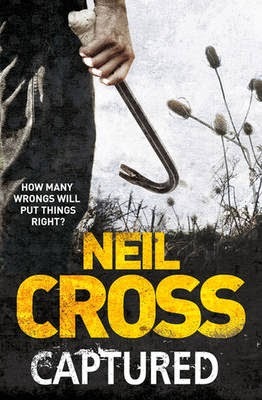 Wellington-based novelist Neil Cross is a transplanted Brit who still sets his own dark psychological thrillers back in his home country. Cross’s latest novel contains several of the ingredients that earned him deserved acclaim (including a Booker long-listing) for his previous books: flawed characters thrust into emotionally harrowing situations; menace lurking beneath bleak settings; crisp and spare prose; situations quickly spiralling horrendously out of control; and occasional literary flourishes. In Captured dying artist Kenny makes a list of four people he feels he's let down in the past. Determined to put things right with each of them before he shuffles off his mortal coil, Kenny then discovers that his long-lost childhood friend Callie Barton, the young girl who showed an awkward Kenny much-needed kindness when they were kids, has gone missing. Although Callie’s husband denied any involvement, and the police eventually stopped digging, Kenny believes he’s hiding something. With time running out, Kenny decides to take matters into his own hands, and use any means necessary to get to the truth – unwittingly bringing danger down on not only himself but the few other people that are close to the dying artist. Captured is one of those one-sitting books that can hook you early and have you entranced to the final page. Cross takes the reader to some uncomfortable places, as Kenny’s increasingly obsessive investigations and actions upset the balance in many lives. What starts as a simple mission to find an old friend and say thanks quickly escalates into something far darker – and Cross had this reader on the edge of his seat, engrossed and fully invested in Kenny’s story even when things got a little crazy, violent, and extreme. Crisp and vivid prose powers a pacy and tense story that has some mystery and plenty of thrills, while touching on wider themes like justice, the importance we can place on fleeting events, memory and reality, and what legacy we leave when we go. Captured is not a comfortable, or a pleasant, read. But is is good read. A very good one.